I’ve sold my flash fiction story 2:00 AM at a Motel in the City to Every Day Fiction. Still working out the details, but I’ll be sure to post again once I know a release date. I wrote the original draft in the summer of 2014 while taking the LitReactor course Writing the Weird taught by JS Breukelaar. In other news: Harrison turns 1 in 16 days. WHAT?? 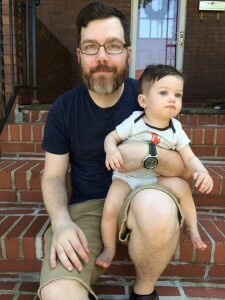 Previous PostPrevious Still here, still writing, but a dad now, too.